This could be the best news for Samsung S6 users this year. Four different Samsung reps confirmed the news to Reddit already and considering that Samsung is pushing the beta version of its Oreo update to Galaxy S8 users, and has already confirmed that the Galaxy S7 will get the update too. 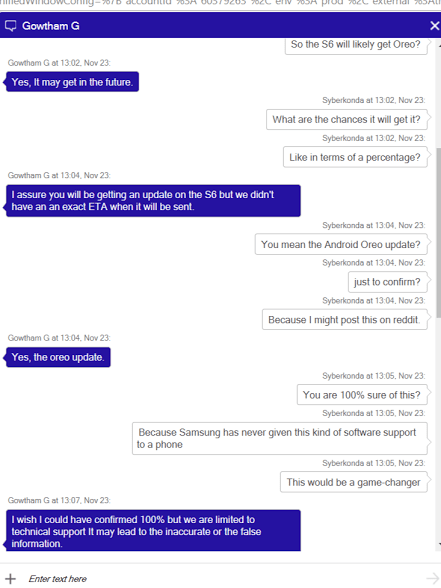 Then Oreo for S6, why not? If this rumour become true, it means Samsung is trying to change its bad reputation for phone support. This will be the first time Samsung has supported a device with updates for three years. I smell competition around the corner; Samsung, Google and Apple over long-term support. Apple will always win though, based on the present trend. What should we expect for Galaxy Note 8, S8, S8+, S8 Active? Trust me to keep you updated! 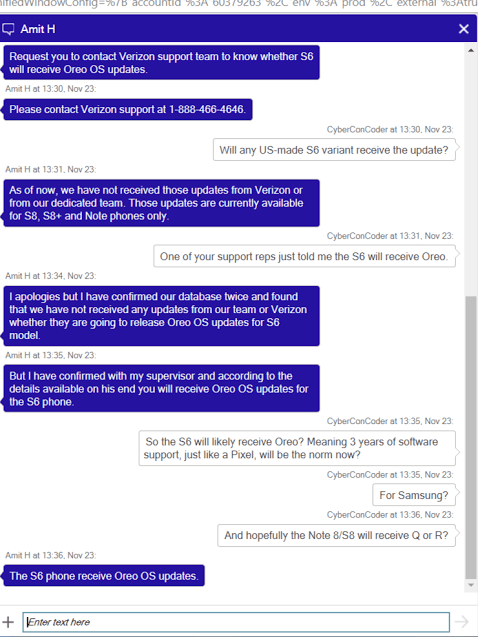 Here are the Screenshots of the chats with Samsung reps. One of the Samsung employees even said his supervisor confirmed the information.